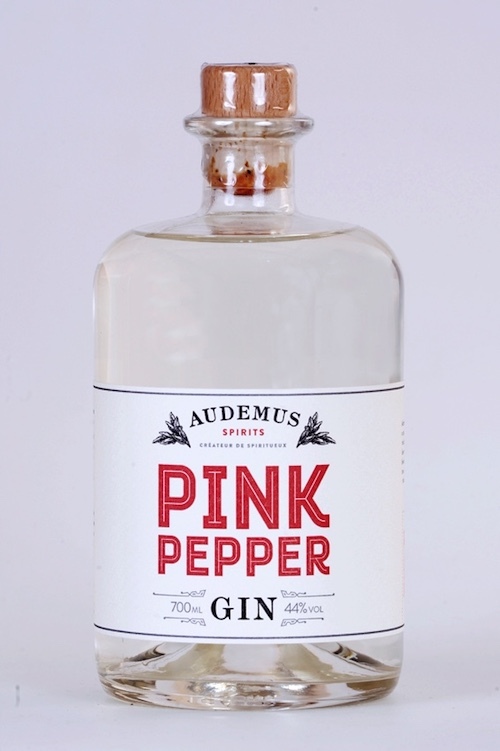 TFWA World Exhibition sees World of Patria International (Blue Village G13) introduce a new craft gin to the travel retail sector: Pink Pepper from Cognac based Audemus Spirits. Pink Pepper is taking advantage of the remarkable growth of craft gins, a trend which has had clear benefit to the travel retail wine & spirits industry as travellers explore a whole raft of new premium and super-premium brands. “Gin is so diverse; the ability to add all manner of ingredients during distilling means unique products with a wide range of flavour profiles are now in high demand,” says Rob Nichols, WOPI managing director. “We loved everything about Pink Pepper – it's a truly different, intense and extremely aromatic gin which uniquely is designed ao actually age and evolve both in the bottle and in the glass. Pink Pepper Gin is not made by the London Dry Gin method. Instead each aromatic is macerated separately in alcohol then distilled under low pressure and temperature, to create concentrated aromatic extracts. The recipe includes hand-picked Spanish pink peppercorns, juniper and a selection of several other spices. A small amount of local honey is also added. When the bottle is young, or when diluted or chilled, fresher, spicy notes of pink pepper, juniper and cardamom are prominent. Over time, however, the liquid evolves and warms up - allowing notes of patisserie; vanilla, tonka and honey to come to the forefront. On the palate the gin is full-bodied and intensely aromatic, thus it is perfect for sip The #pinkpepperlove is strong throughout the UK, and the brand can be found in a number of top bars, restaurants and hotels in most cities and towns. It’s also distributed in top stores such as Selfridges, Harvey Nichols, selected Waitrose stores and many smaller retailers – such as The Leamington Wine Co, The Whalley Wine Shop and online retailers like Dover31 and Master of Malt. Pink Pepper is also widely available in France both on and off trade including bars from Paris to Toulouse, Poitiers to Bordeaux, and high-quality retailers such as Hediard and Le Vin en Tête. Distribution has also been recently secured in Denmark, Switzerland, Belgium, Norway and Hong Kong. “With such rapidly growing domestic market presence we felt the time was right to increase the brand’s footprint by extending distribution into travel retail,” continues Nichols. “Cannes is the obvious platform from which to launch Pink Pepper into travel retail and we’re looking forward to inviting buyers to try this unique craft product for themselves.” Pink Pepper gin comes in 500ml bottles at 44% abv.